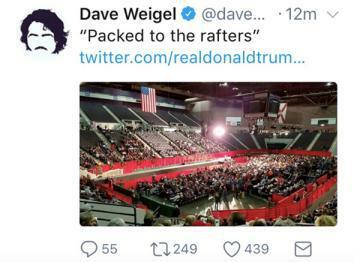 Trump calls for the Washington Post to fire Dave Weigel. Again with the crowd sizes. President Donald Trump greets people during a rally at the Pensacola Bay Center on December 8, 2017. Unfortunately, the photo was from before the rally. 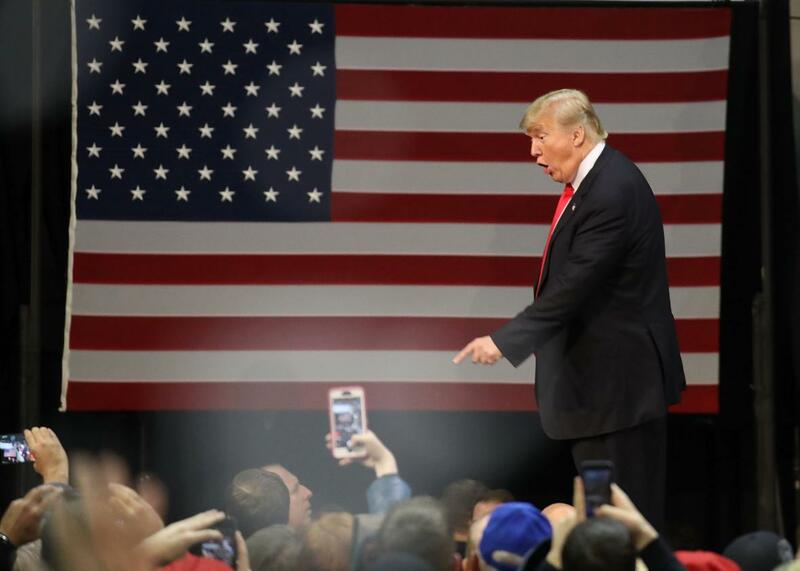 Trump—or whoever is running his Twitter account these days—seized on the inaccuracy, demanding an apology and retraction from the Washington Post. But an apology was apparently not enough, because Trump almost immediately mischaracterized what Weigel had said and called for him to be fired from the Washington Post. Oh, wait—that last one is real. What a world!